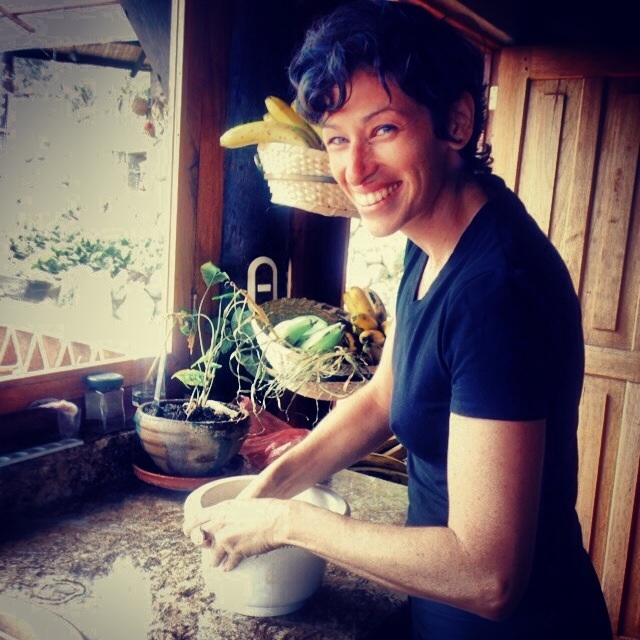 Sourdough expert and horticulturist, Sarah Owens, began baking sourdough bread from her small Brooklyn apartment. There she learned that the fermentation process of the grains could ease her digestive problems. Instead of giving up grains, she took matters into her own hands, literally, and began baking sourdough bread to alleviate her symptoms. As neighbors started asking her to bake them bread too, she started her own local bakery, distributing loafs around town. I was excited to ask Sarah how she got started, what are her techniques for the complex sourdough baking and get the details of her first cookbook. How did you come to the conclusion that you had to eliminate grains from your diet and does a lot of your diet now consist of fermented foods? When I was having major stomach issues and often sick in a way that completely interfered with my work and personal life, I had no choice but to slow down and begin with elimination diets. I found that grains of all kinds, but especially whole grains and nuts, gave me the most problems. The lactic acid fermentation process of sourdough has completely mediated the negative effects of phytates present in these foods for me. 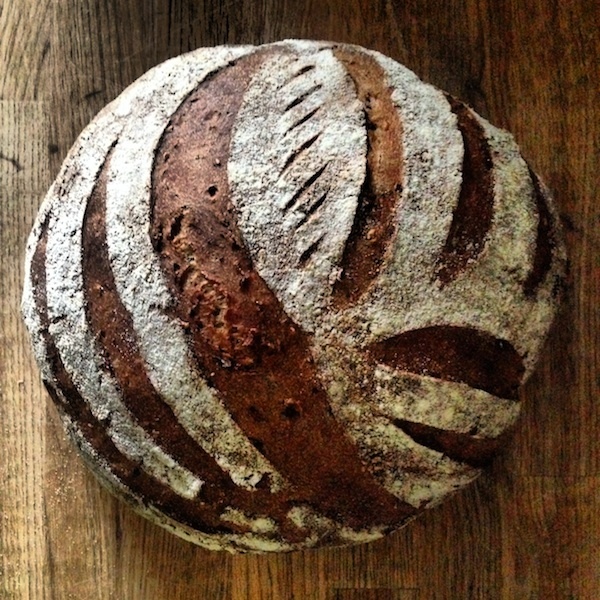 Using sourdough is now allowing enjoyment of what some would consider a very grain-based diet. I’ve also found that my tolerance is greater for other foods that I once had issues with (mostly dairy but I still avoid soy). Do I eat lots of fermented foods? Hmmm….does alcohol count?! I believe keeping a healthy gut flora is a major part of balancing your immune system and keeping your body healthy in general. I would love to hear more about this sourdough cookbook you are writing? I used to work in a sourdough bakery and we had all kinds of crazy breads, where do you get the ideas for your recipes? I noticed a cherry bread on your site. Looks divine. Most of my ideas come from specific cravings like chocolate and cherries or from inspiration at the market. Because I work outdoors every single day of the year, I am quite attuned to the seasons and what’s fresh to eat. For instance, I’ve noticed these past few weeks that dandelion greens are really pushing and that they are getting ready to flower. So now is the time to pick them, before they turn too bitter. I made some dandelion and chive sourdough souffles for Easter that reflected this inspiration. Without giving too much away, what’s your technique? There is so much that has to go right with sourdough, the timing, the temperature, the humidity. Do you have different techniques for when the weather changes? Working with sourdough really requires you to hone your intuition and slow down to listen and respond to the dough. Yes, there are so many variables! If you are using local flour, it will change dramatically with each season, depending on the weather. You may have to adjust hydration and handling for a weaker or stronger flour, the humidity, and of course the temperature. This year I have declared August as bread fasting month because it’s just so difficult to make good bread in sweltering conditions. The best flavor from sourdough is when it is developed over long, slow periods of rest and a cold retard. My technique varies mostly depending on the ingredients. A lot of this will be addressed in the book but I don’t follow a blanket ‘master method’ for working with dough. For example, if a dough has a high percentage of spelt or rye, it has more available food for the yeast and bacteria to feed on and will ferment much quicker than other doughs. If I were following some formula, my dough would overproof and I would be frustrated with the results. But if I learn how to read the dough and notice how my movements, as well as ambient temperature and time affect its development, then I will be a better baker. What was it like watching your grandmother bake? I grew up in a valley in rural East TN where my paternal grandmother was renowned for her cooking. She fed armies of people on the weekends with whatever she harvested from the garden or the acreage of her farm. We ate lots of weeds! 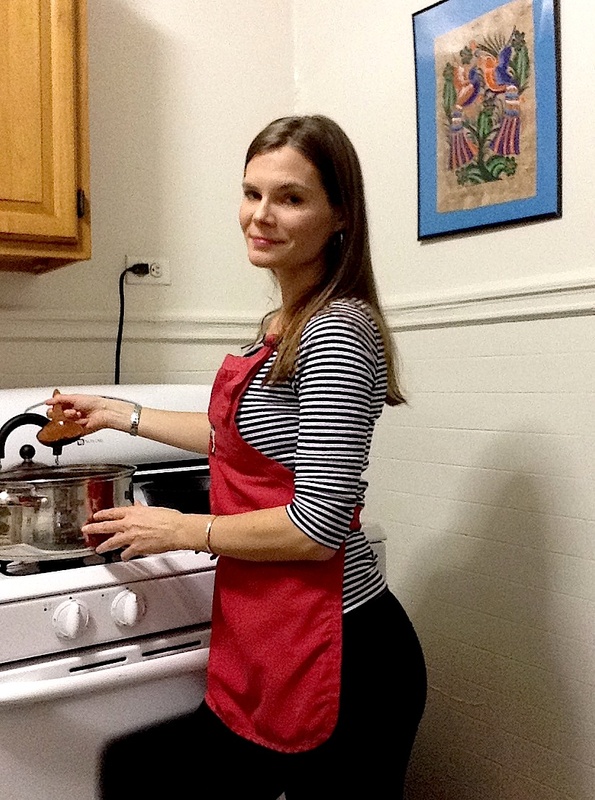 I was always trying to help and learn from her in the kitchen. She had her methods and I was often just in the way. But I always thought the baking was magic and loved when she made what she called ‘friendship bread’ from her starter. It was terribly sour, as she didn’t use fresh starter. But I learned to appreciate it more as I grew older and my taste buds weren’t so sensitive to the acidity. Advice for Aspiring Bakers: Learn to use a scale, follow recipes but hone your intuition, and use the best quality ingredients you can get your hands on! I live in France, where bread is a way of life. But although I’ve always preferred ‘pain au levain’, I was never really sure if that was the equivalent to sourdough. Your post drove me to do some googling, and lo and behold, they are one! Thanks for a fascinating look into the baker’s trade. You are welcome! Glad you enjoyed the post! I too prefer sourdough or pain au levain. Fascinating that Sarah found the healing powers of bread!